In 2018, the Vienna-based European network of cultural journals, Eurozine celebrates a twofold anniversary: 35 years since the first European Meeting of Cultural Journals in Switzerland in 1983, as well as 20 years since the foundation of the online magazine and the association Eurozine. 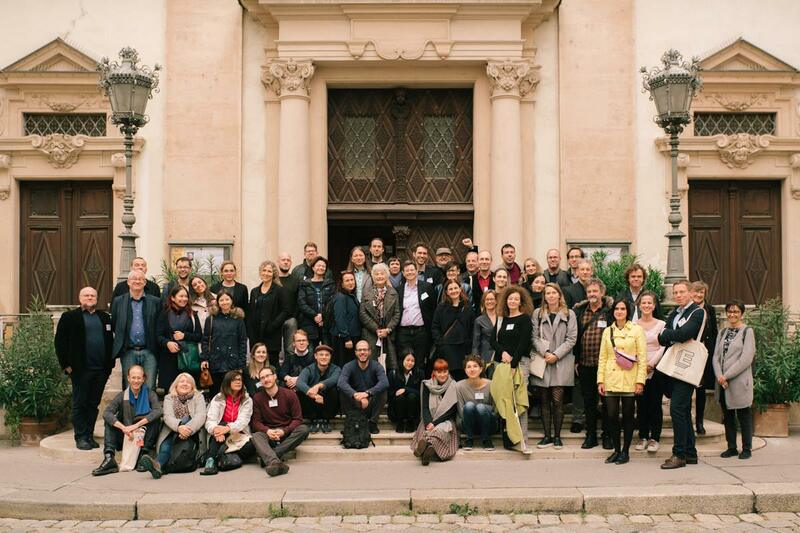 The 29th European Meeting of Cultural Journals took place in Vienna (Austria) from 2 to 4 November 2018. The meeting was organized by Eurozine, together with Vienna-based Eurozine partner journals dérive, L’Homme, springerin and Wespennest and in cooperation with Alte Schmiede Kunstverein, Time to Talk, Belvedere 21 and Wiener Vorlesungen. Editors from the Eurozine network to participate, as well as other editors, researchers, journalists and general audiences. This year, the meeting was entitled ‘Mind the gap: Illiberal democracy and the crisis of representation’. Panels discussed the rise of the populist right as result of a failure of institutional politics and the role of the liberal media in the dynamics of polarization. We also looked at surveillance capitalism and the corporate and state capture of the internet, as well as the history of cultural journals and the practice of cultural journalism today. Following the network session on Friday afternoon, the three-day conference opened on Friday, 2 November 2018 at 7 pm with a conversation between Daniel Cohn-Bendit and Claus Leggewie. The two discussed what is to be done for a free and open Europe in light of the nationalist and illiberal populism gaining ground across the continent. The discussion was open to the public. The programme on the following days consisted of panel discussions, workshops and bar camp on Saturday, 3 November and Sunday, 4 November 2018. All videos were live-streamed via Facebook during the conference, in cooperation with Time To Talk. The 29th European Meeting of Cultural Journals was opened with a debate between Daniel Cohn-Bendit and Claus Leggewie. In light of the rise of nationalist, illiberal populism throughout the continent, the two discussed what is to be done for a free, open and just Europe. In German with simultaneous translation into English. In cooperation with Belvedere 21 and Wiener Vorlesungen. Two reasons are commonly cited for the rise of the populist right in Europe and the US: the socioeconomic effects of neoliberal globalization and the Left’s abandonment of the social question in favour of identity politics. This panel asked whether economic justice and cultural identity are indeed opposed; how far the social-democratic parties’ abandonment of class is to blame for their electoral demise; and what a solidary and progressive politics beyond rightwing populism might look like. With the rise of the New Right in western Europe, questions arise as to how to reconcile ‘democratic militancy’ with a liberal commitment to a plural public sphere. While there are good reasons to argue that exclusion is the proper reaction to far-right opinion, there are also reasons to be critical of this reflex. Panelists exchanged experiences of the challenge posed by the New Right to liberal public spheres, with particular emphasis on the comparison with central eastern Europe. Since the Enlightenment, journal-making has been an important ‘cultural technology’ that deeply influences the way we argue, narrate, write and think. While cultural journals retain a strong presence in public spheres, there is also uncertainty about their form and sustainability. Panellists discussed how the study of journals history can help understand the challenges of cultural journalism today. The internet once stood for a democratic, global network society. That promise is now obsolete. Instead, the internet has become a space of manipulation by political actors and powerful corporations. Can the power of corporations be limited through legal regulation or do we need a new collective movement of users? What does government control of the web in Russia and China mean for freedoms in these countries? And how can we use internet technologies for the benefit of an open society? All conference photos are available on Facebook. Op-ed by Claus Leggewie for Austrian daily Der Standard published in German, both in print and online: ‘Grüne Erfolge – mehr als ein Strohfeuer?’ (The successes of the Green party – more than a flash in the pan?) linking the recent electoral success of the Green party in Germany with the topics of the conference. The programme Radio 3 Mondo featured a talk with Cristiana Castellotti, Rai 3, and Mario Ricciardi, editor of the Eurozine partner journal Il Mulino, i.a. about Eurozine’s conference. The Italian programme is available online on Rai 3’s website. Interview with Daniel Cohn-Bendit by Fabian Sommavilla published in the Austrian daily Der Standard published online on 2 November 2018: “Alt-Grüner Cohn-Bendit will Pro-Europa-Parteien stärken: ‘Ich bin der Anti-Bannon'” and in the print issue no. 9034, 3./4. November 2018. 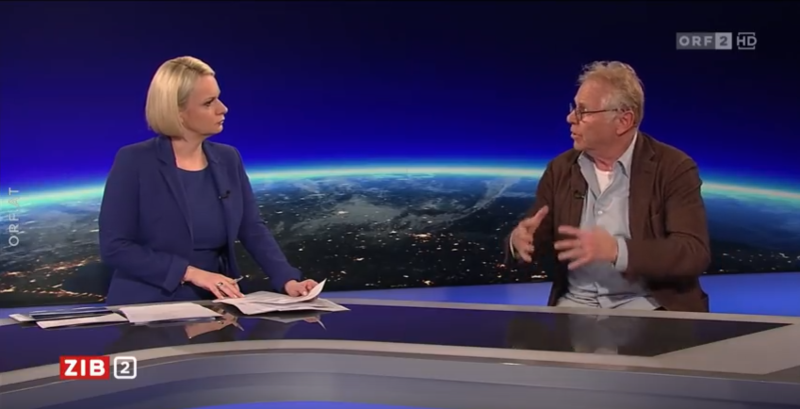 Interview with Daniel Cohn-Bendit in Austria’s main TV news broadcast ‘Zeit im Bild’ with news anchor Lou Lorenz-Dittlbacher. The video was available on the ORF’s website for 7 days (see youtube for other versions). Interview with Claus Leggewie as part of the ORF’s cultural TV programme coming up in January 2019. The Belvedere 21 – Museum of Contemporary Art is a place of artistic production, reception, and reflection. Open and generously laid out, the building is a key work of Austrian post-war modernity and serves today as a space for discourse and experimentation, where society is explored and discussed. Austrian art of the 20th and 21st centuries and its integration into the international context stands at the centre of the museum’s exhibition activities. A comprehensive educational program, film screenings, lectures, performances, and artist talks seek to encourage a dialogue with the public. 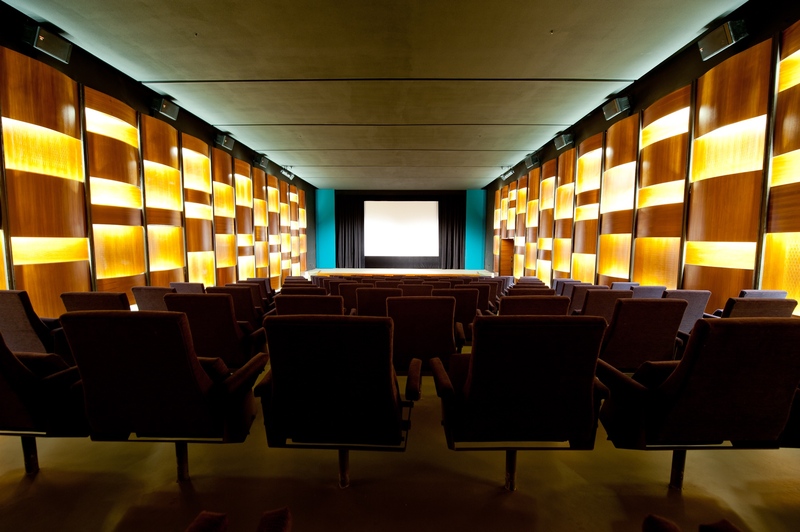 Along with its three exhibition floors, the overall concept for the Belvedere 21 also includes the Blickle Kino, the Salon for Kunstbuch, the Studio 21 learning centre, and a sculpture garden. Additionally, the building also houses the Artothek des Bundes as well as the archives of the Austrian sculptor Fritz Wotruba. 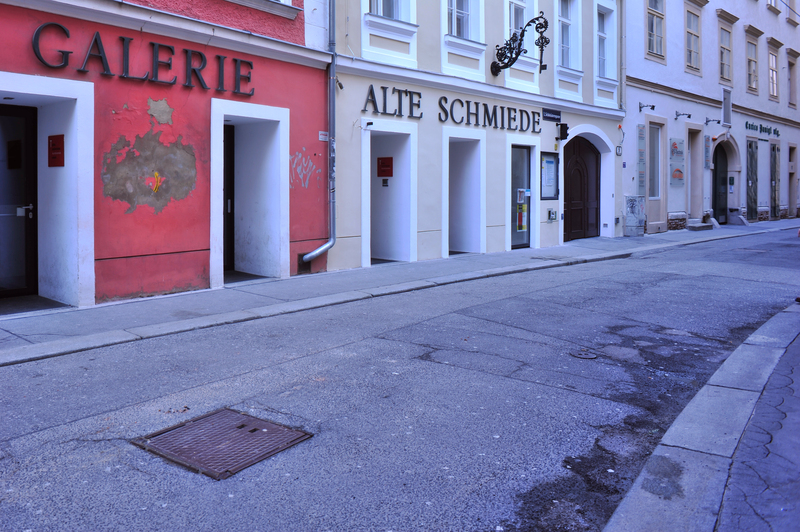 The Alte Schmiede is located in one of the oldest districts of Vienna. The house was used by blacksmith Schmirler in 1880 as a blacksmith’s workshop. His son, the renowned blacksmith Otto Schmirler, worked there until 1970 and then sold his workshop and parts of the residential house above to a municipal publishing house. Today, the Alte Schmiede is a publicly sponsored venue for contemporary literature and music together with a gallery of magazines featuring numerous Eurozine partners.